I am looking for a team I can play soccer with during summer in or near Elsternwick. I am a student in a UK football School so I am used to intense training. I am looking for a team that will push me. I am available for 3 months. I previously from Canberra. I am 16 years but willing to play senior football. Please contact me. mukiigachugu@hotmail.com. Hi I'm James. I'm healthy and go to the gym. I'm free any day of the week. I've played football for 9 years with the last 5 playing as a goalkeeper. I am a properly trained advanced goalkeeper and also try training myself to be the fittest player on the pitch. My daily routine consists of getting up every day at 3am and straight away flipping my bed to workout in a very small space. After I'm done it's straight to football training at the International Football School from 8:15-10:30am. Once I finish school and get home at 4pm I prepare myself to sleep at 7pm to then repeat my schedule again. I keep a strict diet in my lifestyle, the ketogenic diet. I did not play for any club last year and I also had to cancel my keeper training due to lack of money. 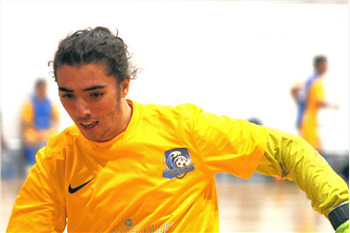 I've currently only been playing futsal because it was the only competition I could afford at the time. I live on the Central Coast but I'm willing to join any team from Sydney to Newcastle. Have played on and off for 10 years and would like to play once a week. Availble: Week nights Location, anywhere within 40 minutes of CBD, preferably SE suburbs. Hello, My name is Hao,and I am 24 years old. I just move to Canberra from the US.I have been playing football since I was 8. I used to be a semi professional goalkeeper in my local football team. I am seeking any teams or groups that I can play with any days. My email address is xionghao0423@hotmail.com! Thank you very much!